Netflix dropped its first full-length trailer for The Defenders, the superhero team series that will unite Daredevil (Charlie Cox), Jessica Jones (Krysten Ritter), Luke Cage (Mike Colter), and Iron Fist (Finn Jones), the four grounded New York heroes of the Netflix MCU. This is the first real footage of the heroes interacting and in action as a team… of sorts. 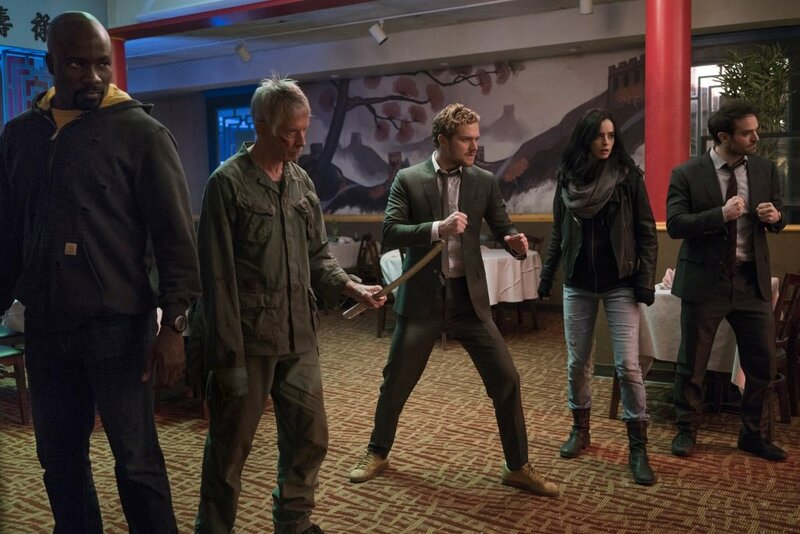 Despite the disappointment of the series Iron Fist, anticipation is high for the team series, which builds on the characters and stories already established in the solos series, and early clips and photos confirm that the Netflix corner the MCU will include other characters from the earlier shows, including Claire Temple (Rosario Dawson), Stick (Scott Glenn), Misty Knight (Simone Missick), Trish Walker (Rachael Taylor), Foggy Nelson (Elden Henson), Colleen Wing (Jessica Henwick), and Elektra Natchios (Elodie Yung). The big reveal: Sigourney Weaver is the villain they must unite against to defeat. The series debuts on Netflix in August 2017.